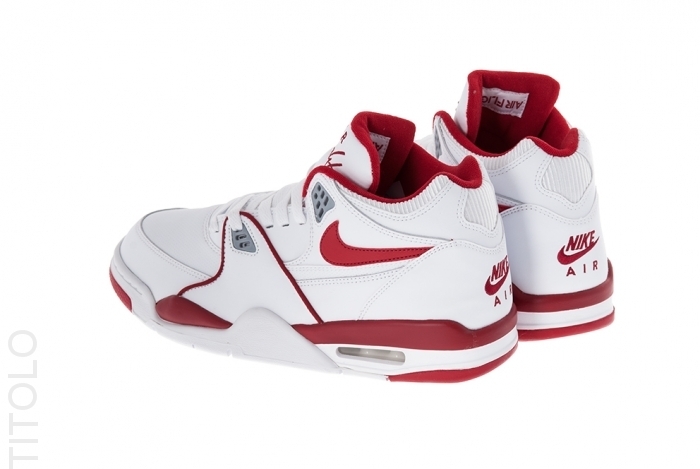 Although just recently released about two years ago, Nike Sportswear is gearing up for another re-release of the iconic Air Flight '89 in White/Varsity Red. One of NSW's most coveted yet still overlooked classic basketball models, the Air Flight '89 returns in original form with their one of a kind Swoosh logos and unmistakable tooling below. 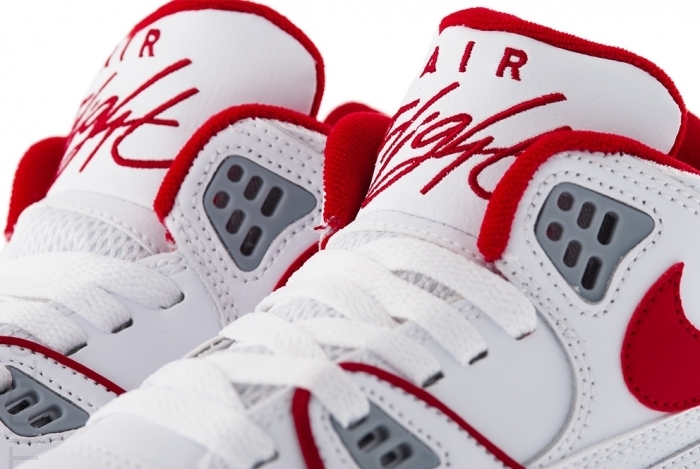 Smooth white leather graces the upper, with hits of varsity red cover the Swoosh logos, tongue "Flight" script, midsole and outsole below. 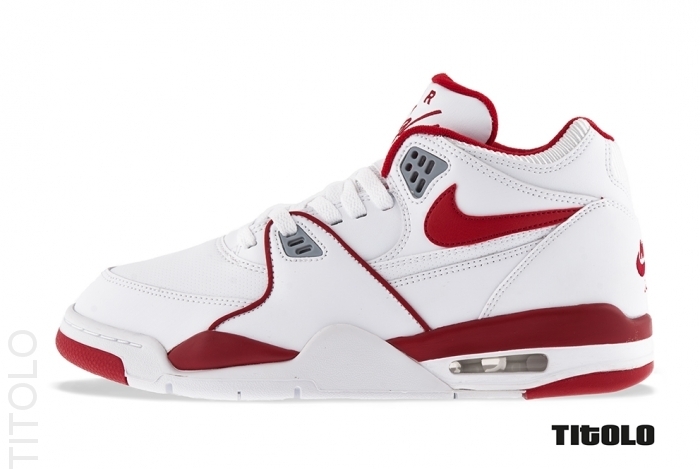 Recently released overseas at retailers such as titolo, we should expect the White/Varsity Red Air Flight '89 to make its return to stateside shelves soon.